What issues are driving you to vote or register to vote? What ballot measures do you think voters should be advocating for in order to ensure that their vote can lead to positive change? What can be done to make the voting process easier and information more accessible? We will discuss these questions and more during Faith in Action’s Inaugural Twitter Chat. Throughout the Twitter Chat we will talk about the midterm elections, building power, and how you can take action in your community. 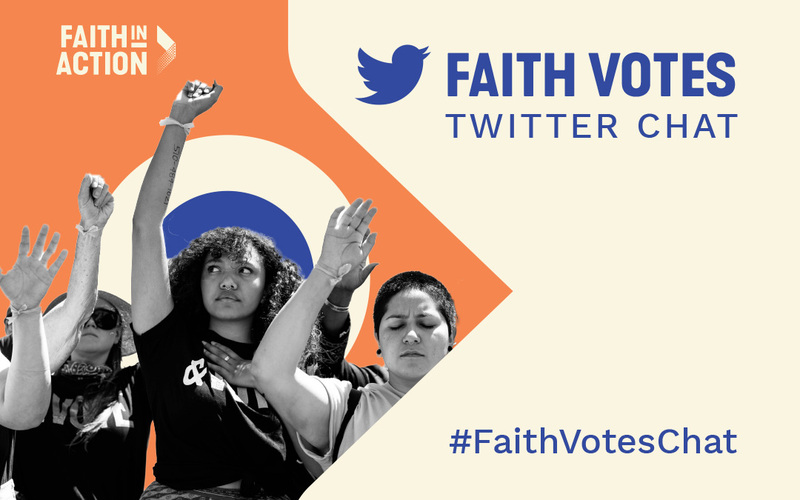 Join us for the online event on September 13 at 3 p.m. EST using the hashtag #FaithVotesChat. Track the Twitter Chat questions by following @FIAnational – https://twitter.com/FIAnational. Here is a link to more #FaithVotesChat graphics.